Very very pleased to reveal “my precious”, aka the UK cover for House of Shattered Wings (picture me curled up around my computer, making Gollum noises). Who said “dark and creepy and beautiful”? 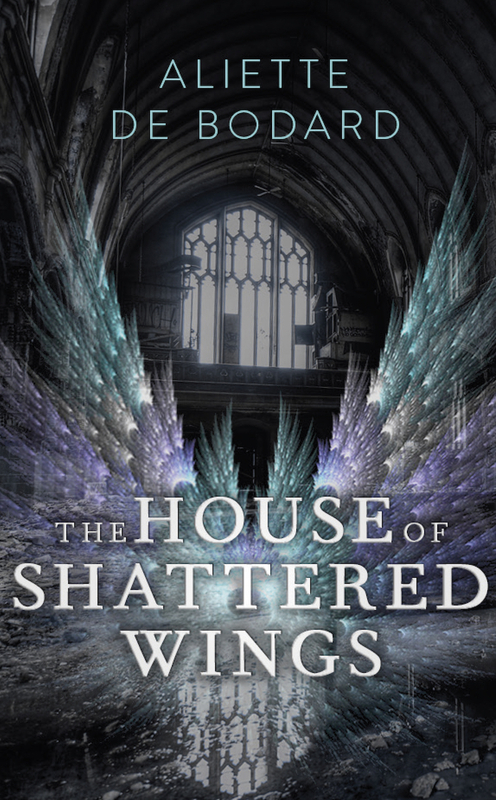 Just as a reminder, House of Shattered Wings comes out August 20th from Gollancz in the UK and Commonwealth/August 18th from Roc in the US. 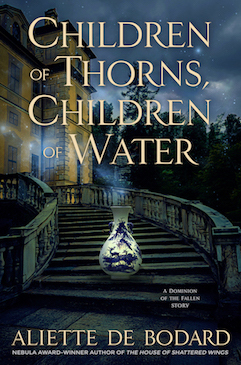 The UK cover copy is below. 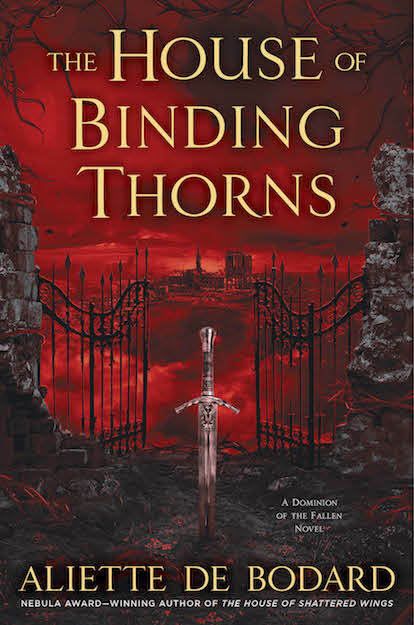 A superb murder mystery, on an epic scale, set against the fall out – literally – of a war in Heaven. Paris has survived the Great Houses War – just. Its streets are lined with haunted ruins, Notre-Dame is a burnt-out shell, and the Seine runs black with ashes and rubble. Yet life continues among the wreckage. The citizens continue to live, love, fight and survive in their war-torn city, and The Great Houses still vie for dominion over the once grand capital. House Silverspires, previously the leader of those power games, lies in disarray. Its magic is ailing; its founder, Morningstar, has been missing for decades; and now something from the shadows stalks its people inside their very own walls. Darkly entertaining. de Bodard makes Fallen Angels entirely her own in this post-apocalyptic Paris near the turn of the century. The personal politics of necessity blend and clash with the politics of the powerful as people—mortal and immortal—attempt to survive. Original and intriguing, this novel is a strange delight and a foretaste of great things to come.